Android devices with Intel chips currently unsupported. The Microsoft Office for Android apps are now available to the public after a preview period that began in November of last year. 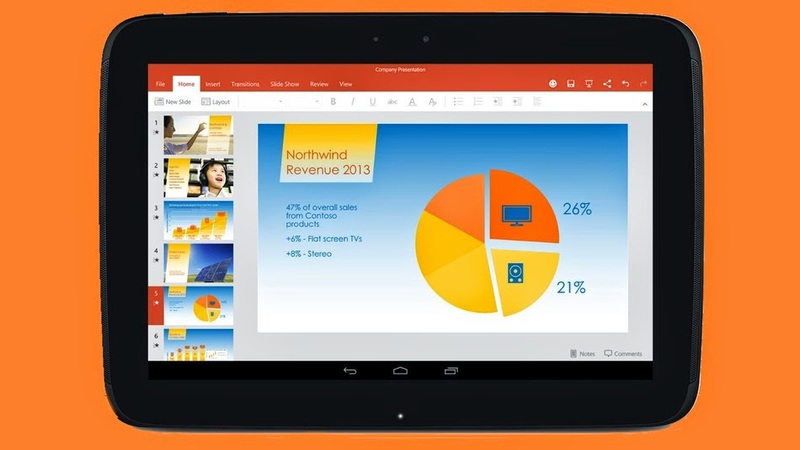 Included in the list of Office for Android apps are Microsoft Word, Microsoft Excel, and PowerPoint. Android users with devices between 7" and 10.1" can download them for free on Google Play. Access to creation and editing features on devices larger than 10.1" requires an Office 365 subscription. The apps require an Android device running version 4.4 (KitKat), with an ARM-based processor and at least 1 GB of RAM. While Android 5.0 Lollipop is not currently supported, Microsoft reports the apps are functional on that version. Official Lollipop compatibility can be expected "in a subsequent update." Microsoft also says it is working on compatibility for Android devices that use Intel chips.